Fire officials in Victoria and Saanich say a series of fires sparked across both cities on Halloween night appear to be suspicious. Victoria fire said it responded to three fires and 15 other calls for service on the traditionally busy night of Oct. 31. All three fire calls were located in a two-block radius on Alder Street and Fifth Street. The first, which was reported at 9:15 p.m, broke out in a travel trailer in the 3000-block of Alder Street. About 25 minutes later, crews responded to a garage fire just down the street. A car in the garage sustained an estimated $100,000 in damage. Hours later at 1:20 a.m., a vehicle and a fence were torched about two blocks away in the 3000-block of Fifth Street. 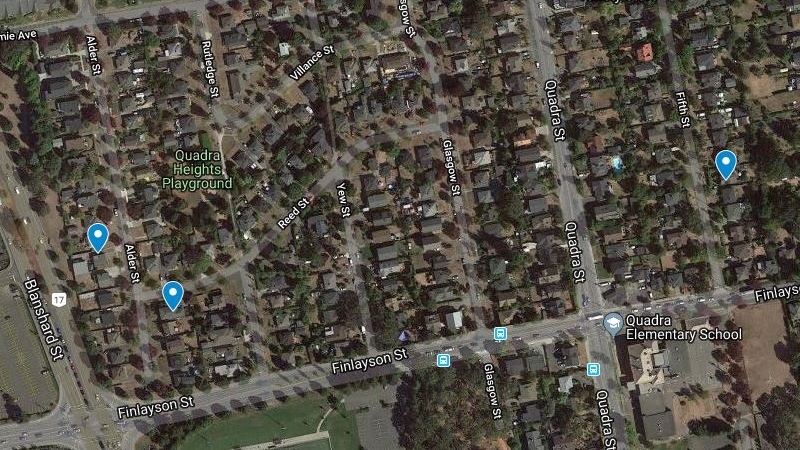 Saanich fire said it was also investigating three small fires that broke out in the city Halloween night, including a vehicle fire on Burnside Road. The fire was extinguished and the vehicle was towed.